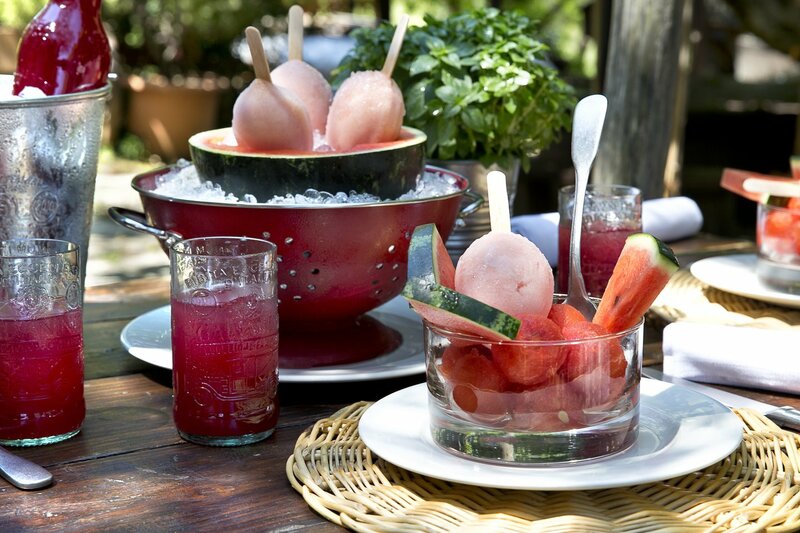 Fruit ices, an iconic Italian treat, date back centuries, to ancient Sicily where the wealthy would have servants transport ice from the top of Mt Etna to mix with local lemon and blood orange juice. 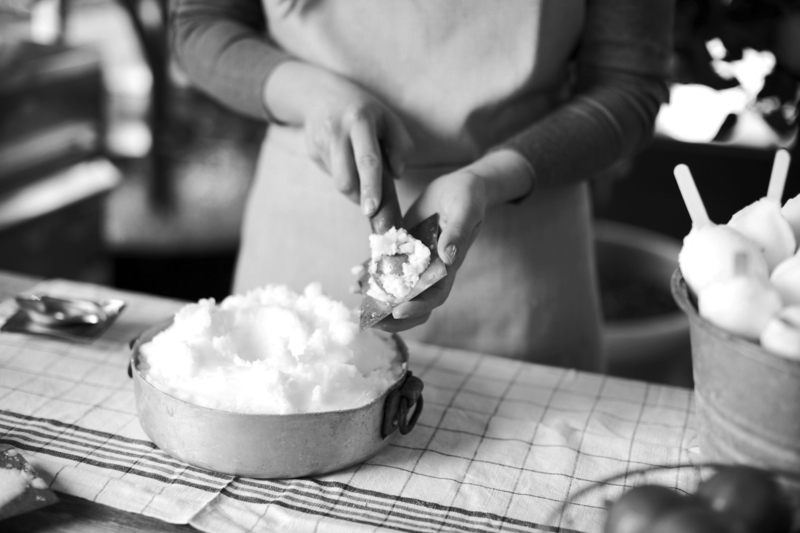 Ices were always served in cups in Italy, but things changed dramatically in the 1950s when an Italian artisan got the idea to press lemon sorbet into a lemon-shaped mold and attach it to a stick. 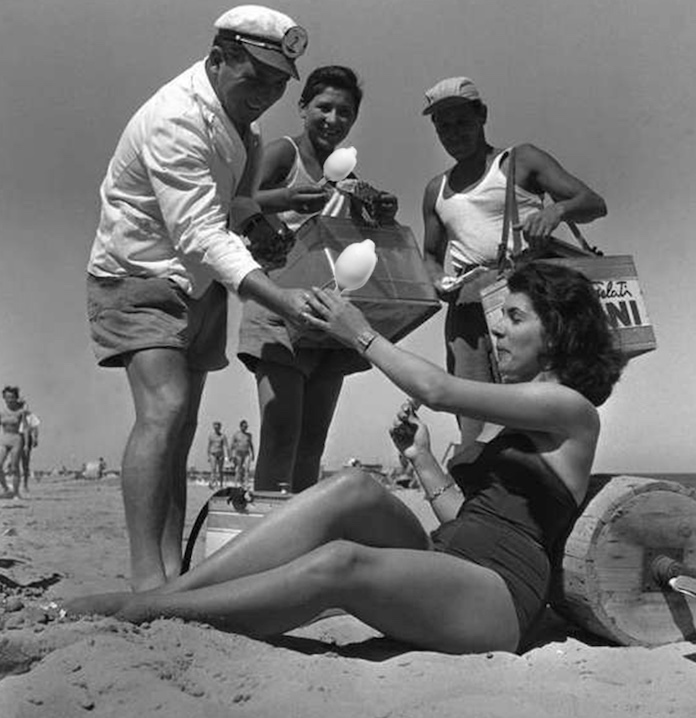 He sold them along the chic beaches near the town of Rimini, birthplace to famed film director Federico Fellini. Their inventor made them by hand each morning and sold them each afternoon at the beach from a cooler slung over his shoulder. He named his creation “La Bomba,” The Bomb. For more than a decade he made them only in lemon flavor and sold them only during the summer beach season. It wasn’t until the late ‘60s that he added a new flavor—orange. 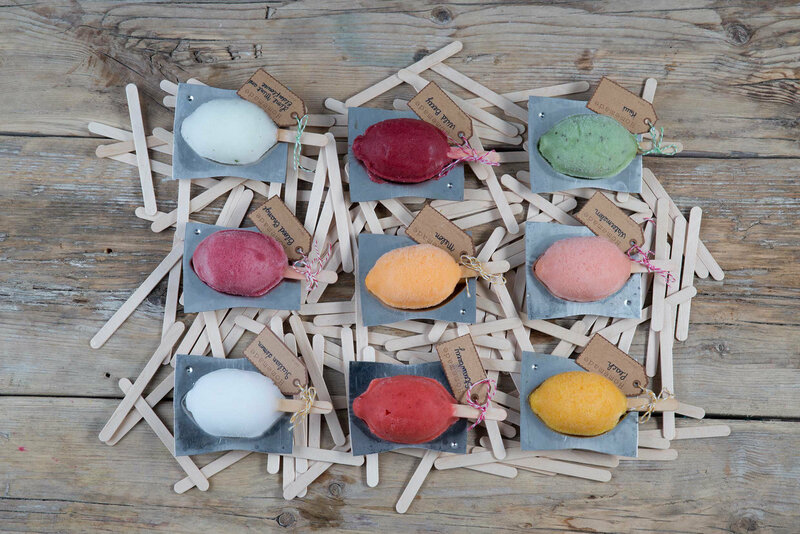 Wildly popular in the Rimini beach resorts, La Bomba finally became available year-round in the ‘70s, when two young gelato artisans fell in love with these popsicles and took over production from the inventor. La Bomba has since “blown up” in Italy and gets more and more popular each year but were never sold in the USA, until now! 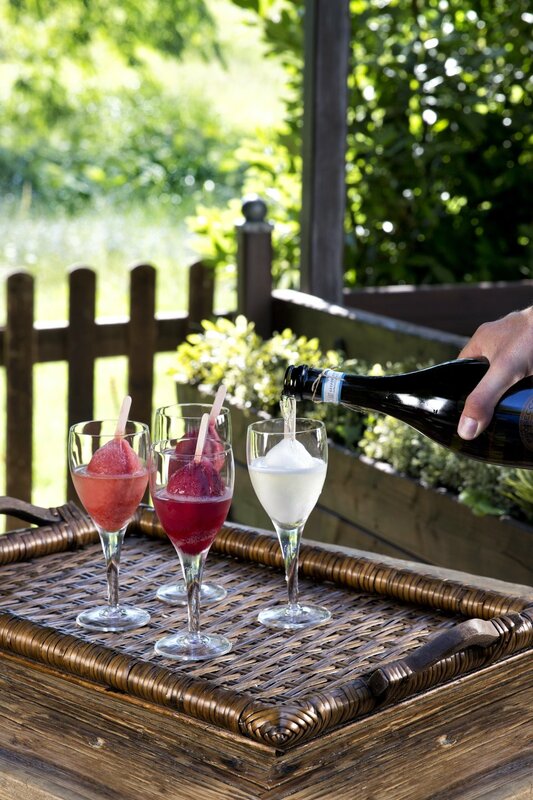 Galvanina, Italy’s renowned spring water company, created Lolly to introduce La Bomba to the rest of the world, combining the highest quality fruit from Italy with Galvanina’s own natural mineral water. 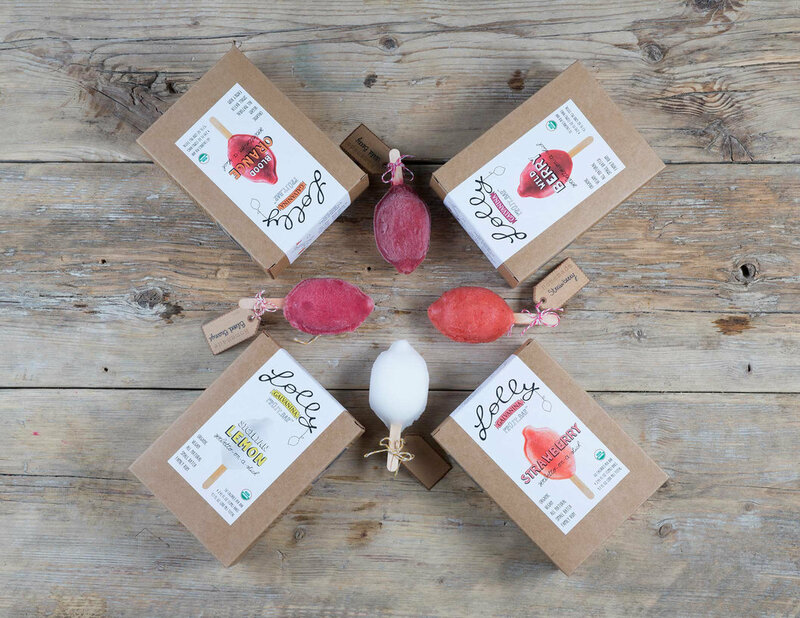 As you’d expect from an artisan Italian company there are no artificial flavors or colors in Lolly and it is 100% organic, non-GMO. 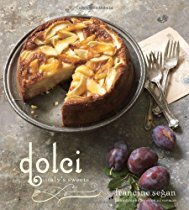 It is totally vegan, but has the creamy smooth velvety texture of gelato thanks to the secret double “creaming” process and the fact that still today each and every mold is filled by hand. La Bomba’s name may have changed, but its unique, unmistakable taste remains as remarkable today as it was in 1950. It is finally available in the USA, sold exclusively through Fresh Direct. Each of the four flavors contains a base of Italy’s prized Sicilian lemons. Every organic fruit is from only one region of Italy: Blood oranges from Sicily, strawberries from Veneto and wild berries from Italy’s northern region of Trentino-Alto Adige. 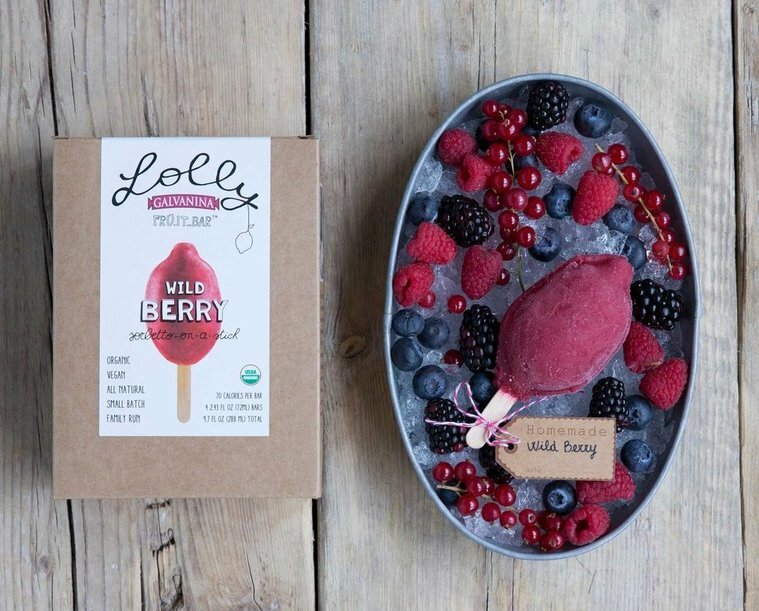 Lolly is delicious eaten as is, but can also add flavor to all sorts of drinks. I especially like it with Prosecco or in glass of sparkling water or iced tea. Lolly also adds a festive touch to simple fruit salad.